My son is family-oriented person. Working as doctor in a hospital in South New Jersey. He lives in down town Philadelphia area.  He holds dual degree, medical doctor and MBA in health care management. Love to fly private plane in his free time as he is holding a private pilot license. He loves music and can operate DJ equipment. My younger son is expecting to finish his graduation in industrial engineering this May 2018. I have a younger brother who lives in Mumbai and working as a President and company secretary for a renowned group of industries in India. Thirty years ago. We have our close relatives in Mumbai, Delhi and Allahabad. We visit frequently our relatives in India. If needed, references can be provided in India. We come from a middle class, nuclear family with moderate values. His father is a businessman while his mother is a working professional. He has 1 brother.